Fishermen’s Association of the Maldives (FAM) has established a Fishermen’s Community Centres (FCCs) at strategically selected fishing communities to educate and help overcome challenges faced by fishermen.With assistance of Maizan Electronics, International Pole and Line Foundation, MIGROS Engagement Fund and other local and foreign funding agencies and commercial companies, FAM established its first Fishermen’s Community Centre in Laamu atoll Gan. 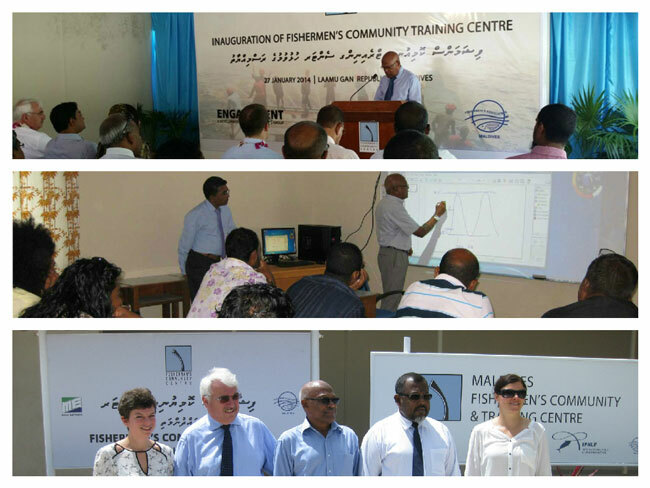 The centre was inaugurated by the Minister of Fisheries and Agriculture on the 1st of May 2013. The community centre assists the fishermen to enhance and hone their fisheries related activities and creates a platform to share and discuss their experience. The centre is already showing very promising results since its inception. The association is planning to further expand by establishing additional FCCs at other various fishing island communities in Maldives. Maldivians have a great history of traditional fishing methods which they have been by blessed livelihood we have”been enlarge enjoying as of today. But sadly some sustainability of the Maldivian fishery industry. Bad practices in the bait fishery which is crucial for both hand line and pole and line Tuna fishery have been found creating a lot of damage to the sustainability of the fishing industry. Fishermen often complain about the prolonged low catch of bait. But less they are aware of reasons. The use of bait in the Maldivian fishing industry is shockingly high compared to same type of fisheries around the world. Most Fishermen do not really care about the size of the bait they catch or whether it’s the in the spawning stage or not. Neither worry about the damage done to plankton. Such irresponsible practices in the bait fishery is badly effecting the sustainability of theMaldivian fishing industry. Fishers also do not understand the importance of statistics and keeping records of fishing effort to manage the fishery. Little they know that these data’s and stats can help them in the future not only in managing a sustainable fishery but in their effort to finding fishing schools much efficiently. ￼Encourage women-folk of the fishers to be involved in the fisheries. Women will be trained on how to process fish related products such as, traditional Maldives fish, Rihaakuru (local fish paste), Jerky, etc… They will also be taught on how to effectively start and manage SME business in the fishing industry. MFA also have been closely working with Ministry of Education on providing vocational training to local fisher folk. 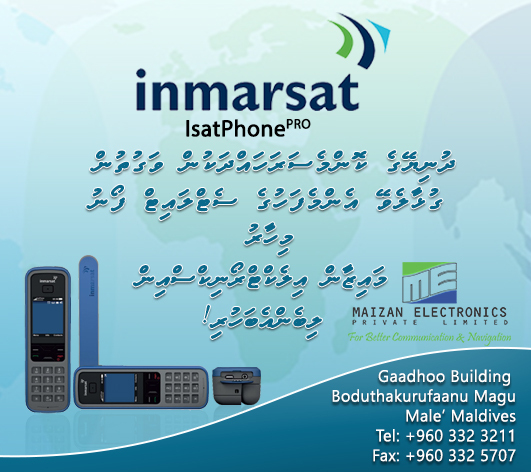 ￼FCC offers the fishermen to buy equipment such as Fish Finders, Satellite phones and GPS to Fishermen on installment basis. Our aim is to expand this service to other major equipment’s and fishing Gears. And to provide the fishermen the ease of getting such equipment in the local fishing areas where they are based.